Laremy Tunsil kept repeating the same answer to questions about his freefall in the NFL draft, the social media hacking that cost him millions and the investigation he stirred at Ole Miss. "I'm just here to talk about the Miami Dolphins," Tunsil said several times Friday. At his introductory news conference with the Dolphins, the big tackle tried to tamp down the furor surrounding his slide to the 13th pick in the draft. Touted at one time as a potential No. 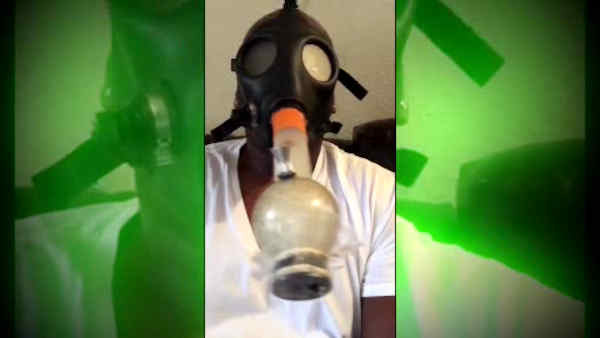 1 overall choice, the Mississippi tackle fell into Miami's lap after a video was posted on his Twitter account shortly before the draft showing him smoking from a gas mask connected to a bong. Another post on his Instagram showed an alleged text exchange with an Ole Miss football staff member that included Tunsil's request for money. The university said it will investigate. On Thursday, Tunsil said both accounts had been hacked - a cyberattack likely costing him more than $10 million. He declined to elaborate Friday. "I don't know nothing about that," he said. Tunsil hinted only once at any bitterness regarding what had transpired, while saying he felt blessed to join the Dolphins. "They gave me a chance," he said. "I'm going to show them why I'm the best player - I should be - in the draft." Miami added a much-needed cornerback in the second round, taking Xavien Howard of Baylor, who said he expects to start as a rookie. The Dolphins moved up four spots and gave the Baltimore Ravens a fourth-round choice to select him. "This is a prototype player," general manager Chris Grier said. "This guy checks all the boxes. When the opportunity arrived for us to make a play on him, we jumped at it." The tale of Tunsil took yet another strange twist when the news conference started more than an hour late because hey suffered an allergic reaction while at the Dolphins' complex. Was it Tunsilitis? He said it had happened before and probably resulted from something he ate. "The doctor took care of me, so I'm good," he said. The risky decision to pick a player 12 other teams passed on was endorsed by Grier, coach Adam Gase and executive vice president of football operations Mike Tannenbaum. "A great moment for our organization," Tannenbaum said. "Some people are saying this guy was the best player in the draft," Grier said. Yeah, but. The bizarre social media posts reinforced Tunsil's reputation for off-field issues. He sat out the 2015 season's first seven games after the NCAA ruled that he received improper benefits, including the use of three loaner cars over a six-month period. His stepfather reportedly filed a lawsuit against him Tuesday related to a confrontation in June, when the men were both charged with domestic violence against each other - charges later dismissed. The Dolphins have been stung before by players with character issues. A bullying scandal sabotaged their 2013 season, and their first-round pick three years ago, Dion Jordan, sat out last season serving a suspension for violating the NFL's drug policy. Choosing players with good character remains a priority, Tannenbaum said. "We remain committed to that," he said. "All of the decision makers in the room last night feel good about Laremy as a player and a person. Obviously there have been some bumps in the road, but we're comfortable with that. We think he has a bright future on the field as well as off." Tunsil's new teammates expressed support for him. Quarterback Ryan Tannehill sent him a welcoming text. "Welcome to the fam Laremy ... we got you," running back Jay Ajayi tweeted. "Congrats Laremy, time to get to work!!!" receiver DeVante Parker tweeted. Because Tunsil has had conduct involving substance abuse, he could be referred for evaluation and possible entry into the league substance-abuse program. He would undergo counseling but there would be no discipline involved. Tackle wasn't a priority for the Dolphins, who have two established starters at the position. Tunsil could play guard, Gase said. "We'll figure out a way to get him on the field, whether it is as a guard or tackle," Gase said. Even on that subject, Tunsil was anxious to avoid more controversy Friday.